An unusual post for me I must admit, but what you all don’t know (I refrained from resolution posts) is that one of my New Years resolutions was to wear more make up; simply because I’d like to start looking nicer! My make up collection is made up of 5 items: one lip glosses, mineral powder, concealer, mascara and blusher, all except the concealer are over a year old and barely touched! I gave up wearing make up every day a couple of years ago when I started to commute to college, my 3 hour round trip made looking nice simply not worth getting out of bed, and I decided to sport the bare faced look more often. Admittedly this saw an incredible improvement in my skin, so I didn’t feel like I needed it, which gave me a much needed boost in my self esteem. All of this aside, I feel like I’d like to start wearing the basics more often because I think it makes me look a little smarter for work and just because I fancy it. 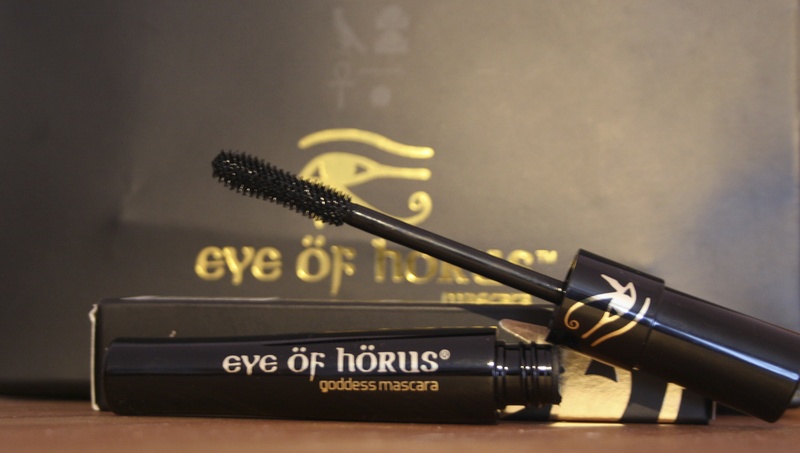 Enter: Eye of Horus Mascara*! Mascara seemed a good place to start as I have incredibly sensitive eyes. Since I stopped wearing make up I have found myself reaching for more natural, gentle products to use in place of drug store alternatives – especially since I don’t need to buy them so often. I usually end up pulling my eye lashes out by the end of the day if I do wear mascara, so I need to be sure what I pick is suitable for sensitive eyes, which this Eye of Horus mascara certainly is! The Eye of Horus founders’ sensitivities to make up actually inspired the mascara as they needed something a little more gentle! Eye of Horus is a new brand to the UK, but one that has already reached ‘Cult Beauty’ status in Australia, with further success in New Zealand and the Philippines. Their initial range consists of the ‘Goddess Mascara’ and the ‘Liquid Define’ eye liners and ‘Goddess Pencils’ eye shadows, which look beautiful! So, what did I think? My first impressions were mixed. From the information on the website I was expecting to have no reaction at all, but I have to admit that at first my eyes felt a little… unusual – not quite itchy, but not quite normal – but I think this is purely because it’s a new products, and the last time I wore any make up was about a month ago! I’m pleased to say that after a minute or two this subsided and I was really happy with the results. The mascara applied really well, but I did use my eyelash curler to make them perfect (again, this could have caused the irritation) and I was delighted by the non-existent clumpage! Although this mascara is black, it made my lashes look natural and not too dressed up. I have really long eye lashes, so when I apply mascara it sort of looks like I’m ready for a night out, but with just one coat of the Goddess Mascara this wasn’t the case which was fantastic. The mascara is enriched with Moringa Oil, which is famous for it’s use in Ancient Egypt. It was discovered in many Egyptian tombs, and even after thousands of years it was still stable! It has many health benefits, but it’s purpose in this mascara is to strengthen your lashes over time, which never goes a miss of course. The product utilises as many natural waxes and oils as possible, and also contains Bees Wax, which helps to nourish the lashes – fantastic! I have used this mascara a couple of times now, and I am really happy with it. It makes the perfect everyday essential, but is also perfect for building up for a stronger look. Even after a long day (15 hours to be exact) it stayed perfectly in place and wasn’t causing me any irritation at all. One thing that may be worth noting is that it crumbles upon removal. I really don’t mind this at all as ultimately it prevents smudging and stops my eye area from staining, but each to their own. I was a little surprised at first, and was worried I was doing something wrong, but I’m sure it’s just down to it’s unique formula. So overall, it’s a fantastic product and I am really really pleased that I was introduced to such a fantastic brand! The Goddess Mascara retails for £17.00, which I think is really great value as it ticks all the boxes! I’m definitely after their Goddess Pencil next after seeing a model shoot on their Facebook page – the teal one is absolutely stunning! 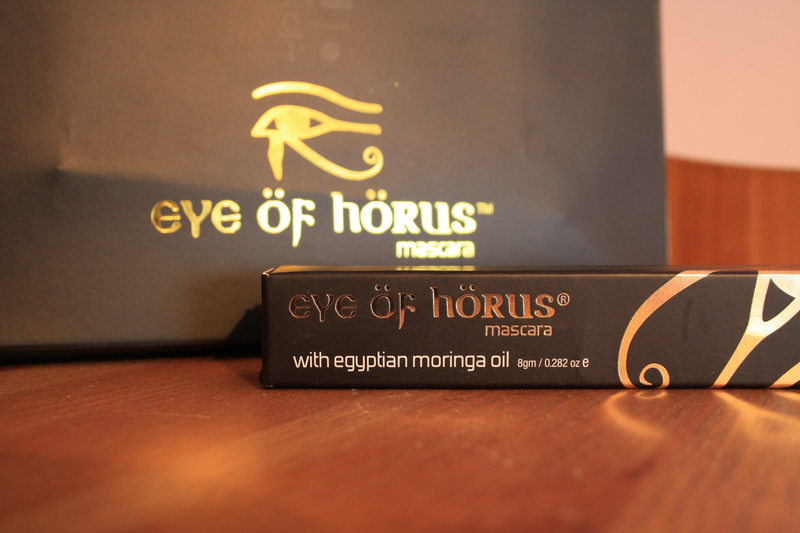 Have you ever used any Eye of Horus products before? I’d love to know what you think! Please feel free to share your make up tips with me below, too! This mascara sounds brilliant! I have a really bad habit of rubbing my eyes when they are aching (as they can be sensitive to strong light) and smudgy my eye makeup all over so I use more natural ones. I’ve not heard of this brand but I like the packaging. Are they cruelty-free d’you know chuck? I’m also loving this mascara and have been amazed at just how long-wearing it is! I know it’s fab! No irritation either – bliss!